A heartbeat is a contraction. Each contraction squeezes blood to the lungs and body. 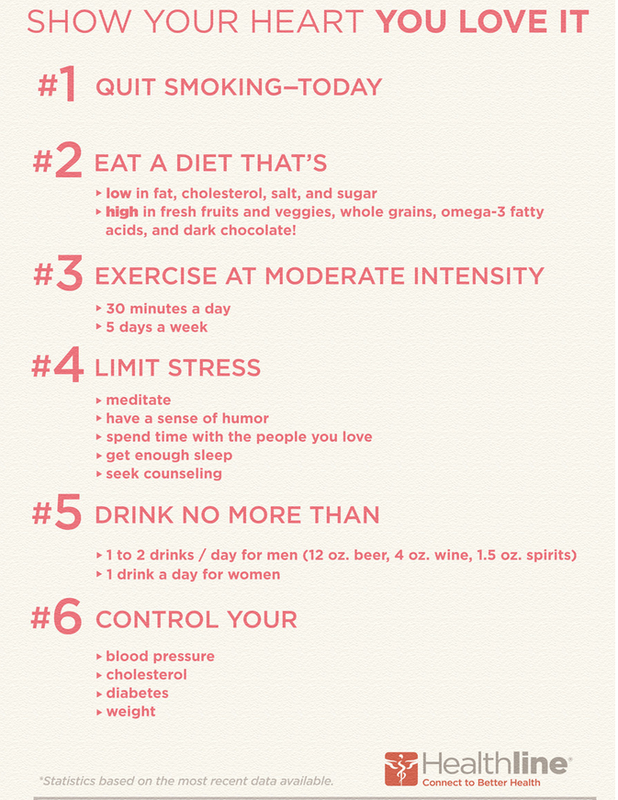 The heart beats about 70 times a minute, more if you are younger, and the rate becomes lower the fitter you are. During exercise the heart rate increases to supply the muscles with more oxygen and glucose à allow the muscles to respire aerobically à they have sufficient energy to contract. 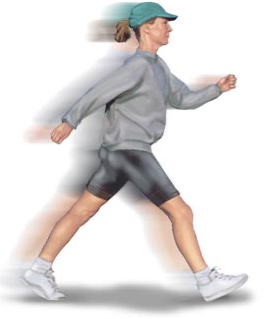 Regular exercise is important to keep the heart muscle in good tone à heart is more efficient in maintaining blood pressure and↓risk of coronary heart disease and stroke. The muscles of the heart are so thick that the nutrients and oxygen in the blood inside the heart would not be able to diffuse to all the muscles quickly enough. The heart muscles needs a constant supply of nutrients so that it can keep contracting and relaxing. The coronary arteries supply this. 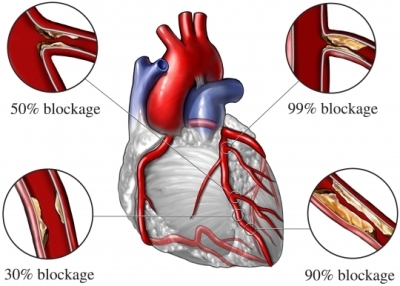 If a coronary artery gets blocked – e.g. by a blood clot – the cardiac muscles run short of oxygen --> they can not respire --> can not obtain energy to contract --> heart stops beating. This is called a heart attack or cardiac arrest. 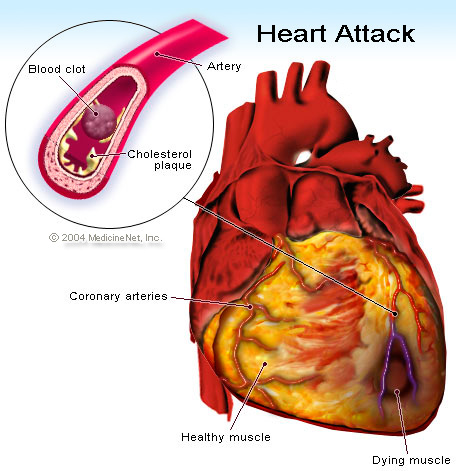 Blockage of the coronary arteries is called coronary heart disease.